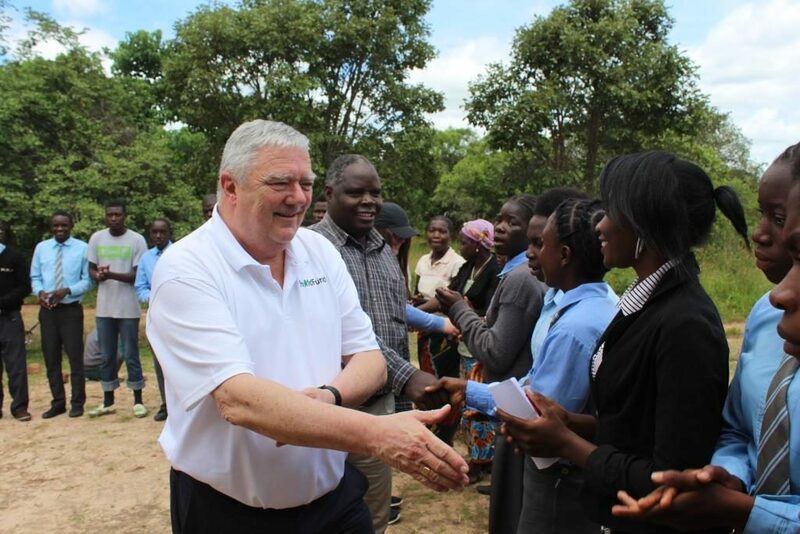 We wanted to share with you some of the many tributes to outgoing CEO Michael Kiely that have flowed in from sponsors, colleagues and friends over the holiday period. Our outgoing Chief Executive Officer of some fourteen years, made the decision to step down from ChildFund at the end of 2017. Although we posted a tribute to Michael before Christmas, we wanted to share with you some of the many warm tributes and personal reflections that have flooded in over the last few weeks, and which are testament to the high regard Michael is held in. “Dear Michael, thank You for the great opportunity that you gave me when I met the Childfund in an adv. which I’ve seen it in Dublin many many years ago. Thank you for your work and your faith in Humans. I wish the best for the rest of your life with health and love. My best regards.” Evangelia, Doctor and sponsor mother. “Wishing Michael the very best in his retirement. He has done a fabulous job over the last fourteen years and will be a hard act to follow. Kind regards.” Anne. “Mick we will miss you very much. You’re a wonderful slice of humanity, and you will have an awesome retirement”. “Just got the notice of your retirement. Congrats on your long and successful tenure Mick and particularly the changes for good you made in so many children’s lives. We greatly value our friendship with you and Ann and the support you gave us during my time with the Alliance. Keep enjoying life to the full and remember to visit and stay a while if you ever make it back to this part of the world! Go well and may the wind be always on your back!With love to you and Ann.” David Taylor, former Chairman of ChildFund Alliance, and wife Jean. Everyone at ChildFund Ireland would like to wish Michael an excellent and fruitful retirement, and express our deepest gratitude for his years of service.